President of the Republic of Azerbaijan Ilham Aliyev has received President of the Chamber of Representatives of Uruguay Jorge Gandini. President of the Republic of Azerbaijan Ilham Aliyev has received a delegation led by President of the National Council of the Republic of Slovenia Alojz Kovsca. On October 25, President of Azerbaijan Ilham Aliyev met with a delegation led by Deputy Prime Minister of the Russian Federation Olga Golodets. President of the Republic of Azerbaijan Ilham Aliyev has received Abdulaziz Othman Altwaijri, Director General of the Islamic Educational, Scientific and Cultural Organization (ISESCO). 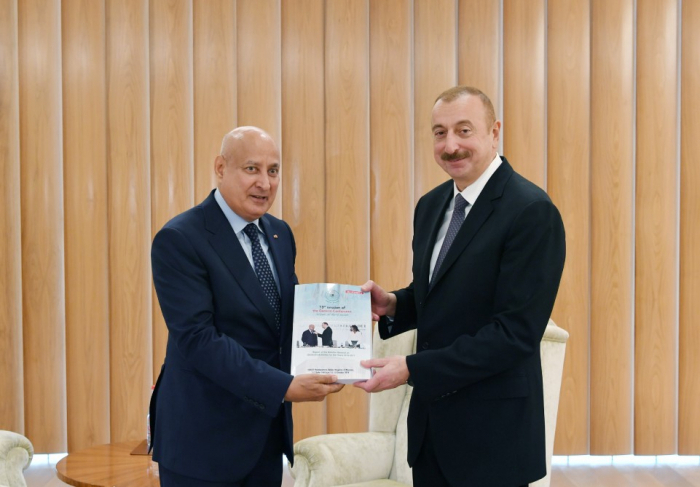 President Ilham Aliyev thanked the ISESCO Director General for his participation in the Forum. Abdulaziz Othman Altwaijri told about the international significance of the Baku Humanitarian Forum and stated that this forum is a very effective platform. During the meeting the sides that Azerbaijan and ISESCO have established successful, fruitful cooperation for many years and they expressed confidence that the relations will be further expanded. 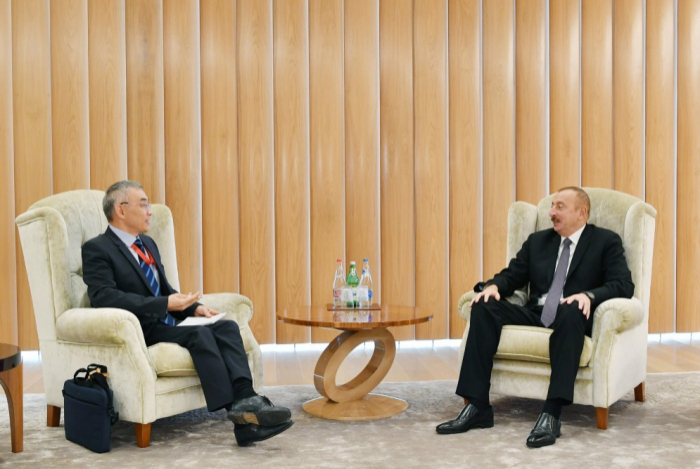 President Ilham Aliyev expressed his gratitude to ISESCO head for the organization's continous support for the fair position of Azerbaijan in trems of the Armenia-Azerbaijan Nagorno-Karabakh conflict. AzVision.az reports that the head of state also received UNESCO Deputy Director General Qu Xing and met with Mrs. Gabriela Baron, the President of the Inter Parliamentary Union. The head of state thanked Mrs. Gabriela Baron for her participation in the 6th Baku International Humanitarian Forum. Mrs. Gabriela Baron expressed her gratitude for the invitation to the event. Mrs. Gabriela Baron thanked Azerbaijan for hosting this important event and regarded it as a very good initiative. During the meeting, the sides stressed that the Forum contributed to the development of relations between countries and peoples, as well as inter-parliamentary cooperation. President of the Republic of Azerbaijan Ilham Aliyev has met with Rector of the Moscow State Institute of International Relations Anatoly Torkunov. The importance of the 6th Baku International Humanitarian Forum was stressed at the meeting. It was noted that this event made a significant contribution to international cooperation. 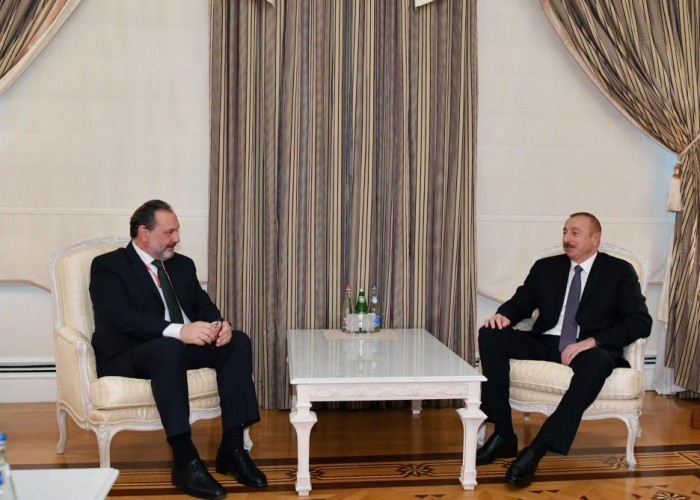 President Ilham Aliyev hailed Anatoly Torkunov`s participation in the Forum. Rector Anatoly Torkunov noted the contribution of the Forum to developing humanitarian relations in the world. The rector said he is pleased to visit the country and patriciate in this prestigious event.